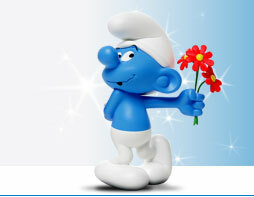 Excellent site..I love the layout of your webpage also and of course the Smurfs..always the Smurfs. Enjoy them...I am sure you do. dear christy, your little blue village is amazing! what a collection! there are smurfs i´ve never seen before. beautiful pics, looks like a lot of heart into it.